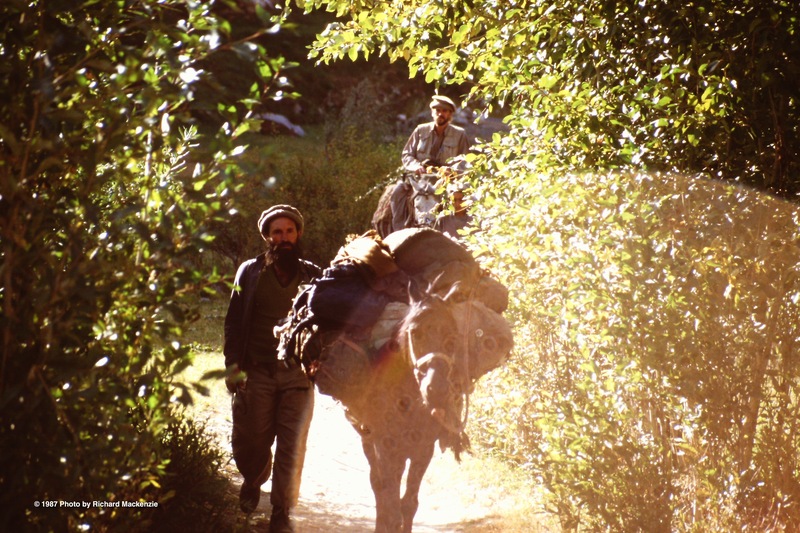 A little more than a week into my first trek into Afghanistan 1987, my initial horseman and my guide both deserted me deep in Nuristan. Suffi Moussa pushed ahead with his horse while I walked as quickly as I could along the path beside the river. Sayed Mohammad, apparently lost in his own thoughts, also went ahead with Suffi Moussa. Weak and slowed by the food poisoning that had battered me since Pakistan, stopping occasionally to vomit, I did not stand a chance of keeping up with either of them. Soon, they had surged ahead on the trail, apparently oblivious to the fact that I was more than a mile behind them and constantly increasing the distance. As darkness fell, I happened on a tiny settlement, a couple of little houses right beside a river. A young Nuristani man, probably in his mid-30s, came out of one of the houses, gestured to me and pointed to a grassy spot where I could sit. I did and I soon fell asleep. I slept through the night, waking at first light to see both Suffi Moussa and Sayed Mohammad standing over me. None of us were happy but I decided to push on with them regardless. Thankfully, I did get the chance to thank the kind young man who had welcomed me. The next evening, we stopped in a tiny village where we camped in a barn. It was rich with the smell of horses and several cattle but it was a welcome relief to be indoors. When I awoke the next morning, my two companions were already packing their bags and the horse feed. This time, however, they had not included anything of mine. In short, Sayed Mohammad told me, I was slowing them down and they were going ahead without me. Not only were they leaving me, they also wanted more money from me before they left. 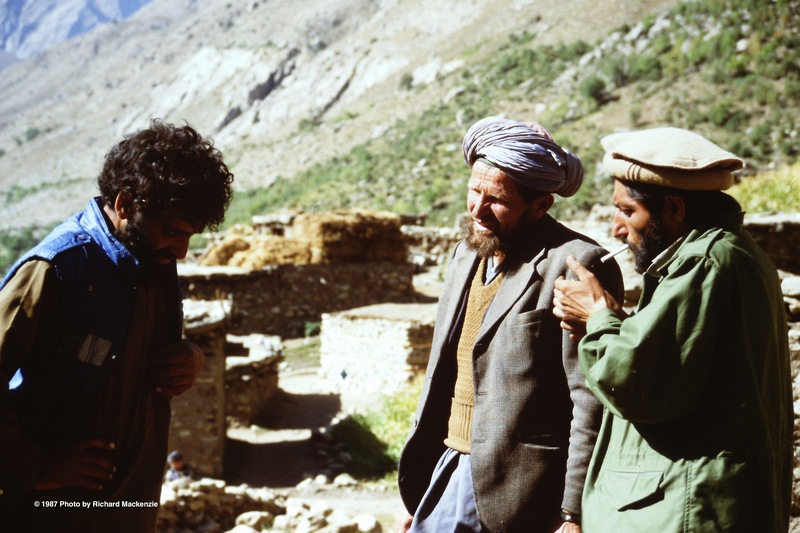 I had paid them a couple of hundred dollars before we started out from Peshawar and had promised them a second payment when we reached the Panjshir Valley. At this point, we weren’t even halfway and I made it clear I would not pay them for the total job. In fact, I was happy for them to leave. Hopefully, I figured, I could find someone in the area who would take me back to Pakistan, if not to the Panjshir. We argued for what seemed an eternity. So long and so loudly that several men from the village gathered around us. Somehow, I felt that I was beginning to win the debate. And miraculously, as I further explained my point with a map drawn in the dirt, the villagers also agreed with me. The leader of the village was not there on this day, but his son was. Eventually, the elder’s son forcibly told my guide and horseman to leave, that he knew an American doctor who was working in the area and that he would send for that doctor. As Suffi Moussa and Sayed Mohammad went on their way, my new host led me to one of the houses in the village and settled me down in an empty front room on a charpoy, a wooden-framed bed strung with thin rope. A child brought me tea and some cookies. The village elder’s son seemed to think I was in no condition to travel. I slept fitfully for the rest of the day and into the night. It was the next morning, probably around 9 or 10 o’clock that I heard the new visitors arriving. At first, I thought I was still dreaming but then realized it was reality. The first to enter was a jovial horseman named Rahman Baig. He was smiling warmly, followed by one of the world’s great photographers, Denis Lucien Reichle. And an angel of mercy, Denis’ wife, an American doctor named Kate Cita. Dr. Kate and her team were working on a back-breaking humanitarian mission to vaccinate children against Measles in Nuristan, which historically has suffered widespread outbreaks of the disease. She worked with her renowned photographer husband, who had cut his teeth in the Killing Fields of Cambodia, braving that tragedy long before the popular film made that slice of history a household word. As we introduced ourselves, I explained my physical problems to the doctor. She said they should take me to their next destination, a village where a Swiss doctor who was an expert on food poisoning was working. She said that, if I was given a horse to ride, we could make it in one day. We set out an hour later and made it before nightfall. A couple of days later, after some heavy-duty antibiotics and good care from not one but two doctors, I was ready to hit the road. It was Dr. Kate and her husband who suggested that I should hire the jovial chap I had seen when they first arrived, Rahman Baig, as my guide and assistant. 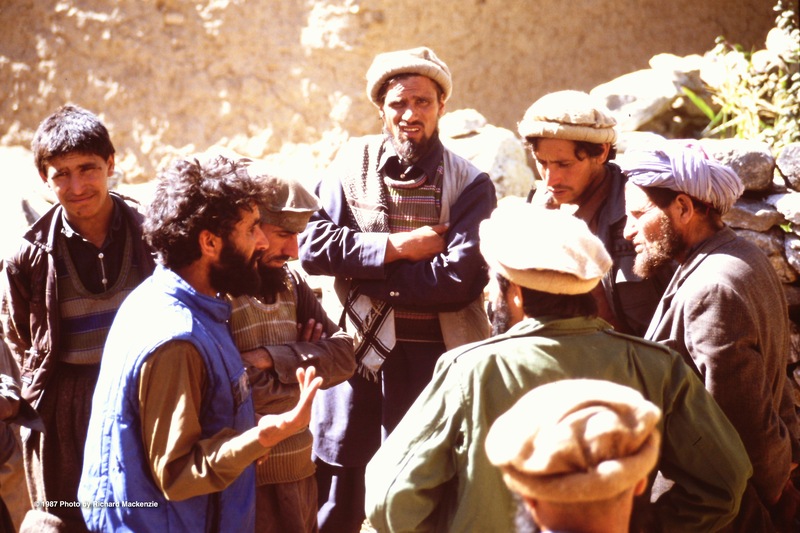 He was from the Panjshir Valley where I was headed and he was undeniably honest and reliable, they said. And so it was that Rahman Baig and I set off into more mountains and valleys. We had one horse and two donkeys to share our burden. I would be forever grateful to Dr. Kate and Denis for the introduction to a the young man who would become an important part of my life. 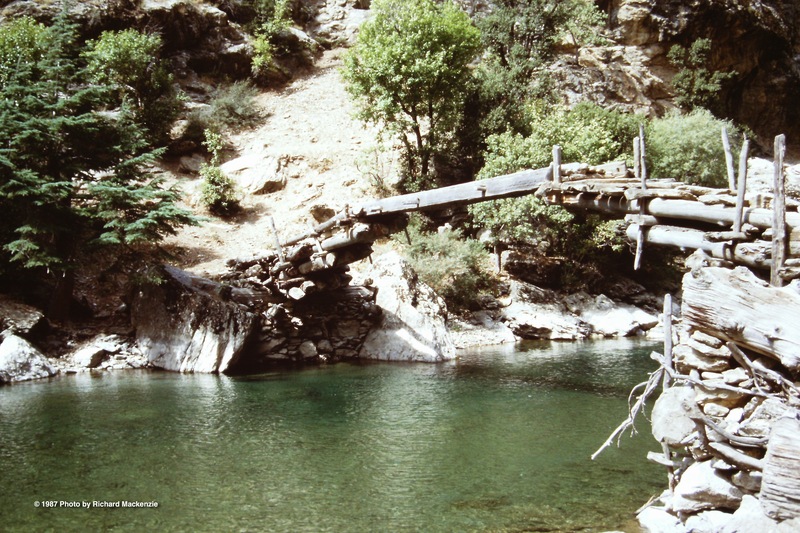 The beauty of Nuristan lush with greenery and sparkling water. Sayed Mohammad and Suffi Moussa lose an impromptu town hall debate. 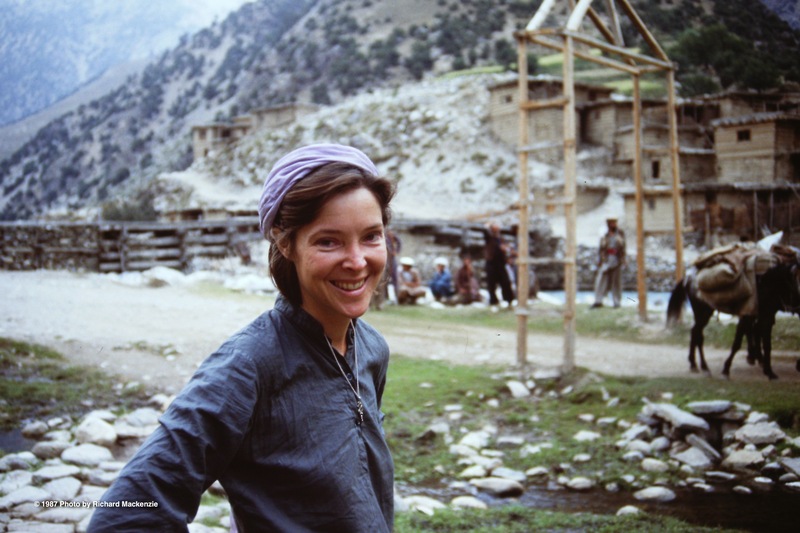 Dr. Kate Cita in Nuristan — an Angel of Mercy to me and many others. On the road again — pushing on to the next village for medical help. 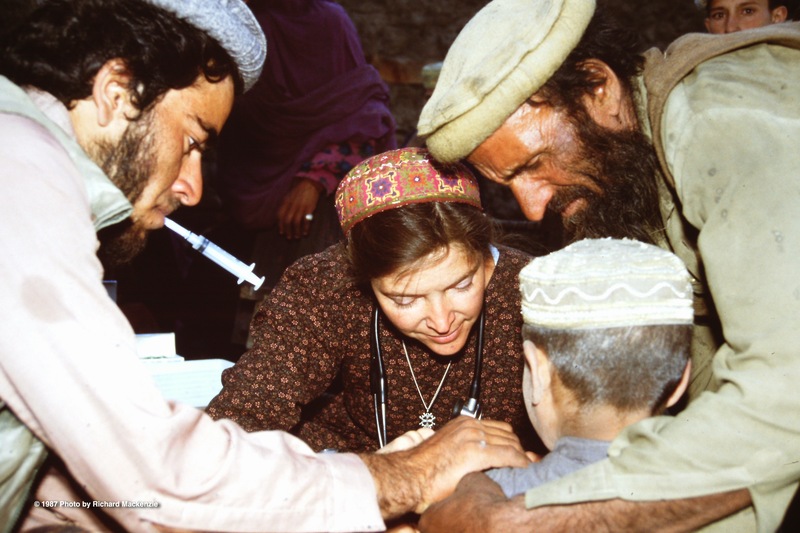 Dr. Kate at work in Nuristan — saving children from the ravages of Measles. Great article and fascinating story. 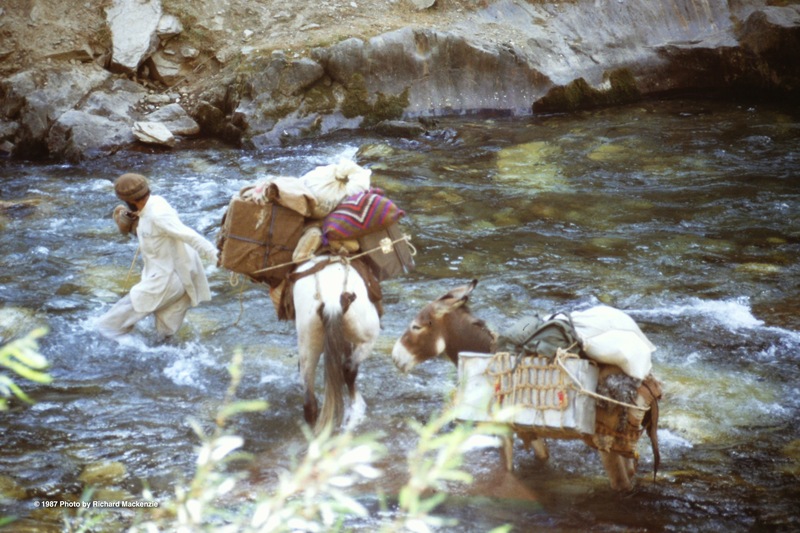 I have spent time in Nuristan as well and have written a few articles on the subject. I can send them to you if you’re interested. I will be sharing your story on our web site as well.